As part of its holistic approach to education, Red Sweater Project’s involvement doesn’t stop after a student’s graduation. Many of our students have been helped onto bigger and better things and we could not be prouder! Over the past year, the Beyond Mungere program has been in development, searching a wide range of internships, colleges and trade school courses, which will lead to lasting careers for our students. Having visited institutions across Tanzania, the program’s intensive searches for appropriate placements has been successful, and the results are really starting to show. Due to their marks on the national exams, four of last year’s graduates are now working in prestigious lodges in the national parks. After a rigorous exam and interview, Rehema, Emmanuel, Domitila and Hawa were selected to join the apprenticeship scheme at the National College of Tourism. Each term, they spend six weeks training in the college before shifting for three months to some of the most exclusive hotels in Tanzania, where they truly learn their craft. 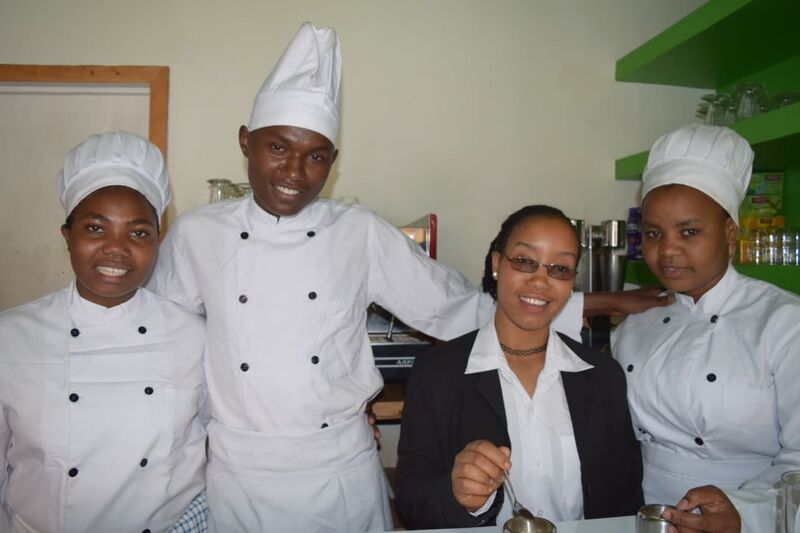 Emmanuel, Domitila and Hawa are training in food production and are working alongside some of the best chefs in the country while. Rehema is training to be a receptionist. She was recently hand-picked to greet the Prime Minister at a recent college graduation! Hawa, 19, is working at the Sopa Lodge in the Ngorongoro Crater Conservation Area. She says: “The Red Sweater Project has helped us so much. They didn’t just leave us after graduation like other schools do. They took their time to help us get into college and now monitor our progress. We are still Mungere students and we are still proud to be Mungere students. The four stay either in hostels or with family while studying in the nearby city of Arusha, known as the tourism capital of Tanzania. 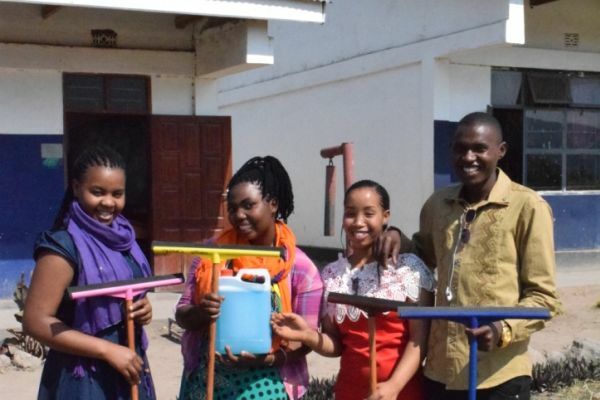 For their placements, Rehema is currently serving her apprenticeship course at the Tarangire Sopa Lodge, Emmanuel is at the Serengeti Sopa Lodge and Domitila is at the Rivertrees Country Inn at Usa River. They will spend two years at college in a scheme set up by the tourism industry to ensure they have marketable skills when they graduate in 2019. The group have credited their English skills with getting a place on the course. As well as cooking, they are even learning French. Each student hopes to work for several years in hotels. However, after that they have suggested opening a restaurant near to the school in Mto wa Mbu. Emmanuel added: “We want to come back to our natural land! A restaurant would really help with the development of our area. “We could learn to grow our own crops and raise our own animals and open a restaurant cooking new dishes for people. We talk about it a lot and it could really happen. On a recent break from college, the four returned to Mto wa Mbu and paid a visit to the Mungere School. As a token of gratitude, they even spent some of the money they received in hotel tips on cleaning supplies for the school. We look forward to seeing their progress and what successful career futures lie ahead of them!